TORONTO – Though Canada’s wheelchair rugby team is focused on its quest for gold in Rio, Director of Development Duncan Campbell will have his sights set on the Tokyo 2020 Paralympic Games when he searches for wheelchair rugby’s next stars at the Wheelchair Rugby Prospects Camp in Toronto from Jan. 11 – 14. Campbell, who is a co-founder of wheelchair rugby, has invited eight new athletes from across Canada to train with national team staff in an intensive environment. 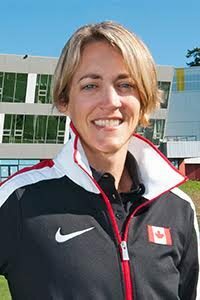 The athletes will be joined by peer mentor Kristen Cameron. Cameron, who is the niece of Ottawa Senators coach Dave Cameron, was a high-level hockey player and coach before she sustained a spinal cord injury. Many of the athletes attending next week’s camp were inspired to take part thanks to the Toronto 2015 Parapan American Games. Ewert’s family, for example, flew him out from BC to watch the gold medal game in person. This year’s camp is also unique because half of the athletes attending participated in wheelchair basketball at the 2015 Canada Winter Games last year. After the Canada Games, Wheelchair Basketball Canada helped to identify Canada Games athletes who might also be appropriate for wheelchair rugby. The Prospects Camp will take place from Jan. 11 – 14 at the Toronto Pan Am Sports Centre. From Jan. 15 – 16, TPASC will also host the Toronto Invitational Wheelchair Rugby Tournament.